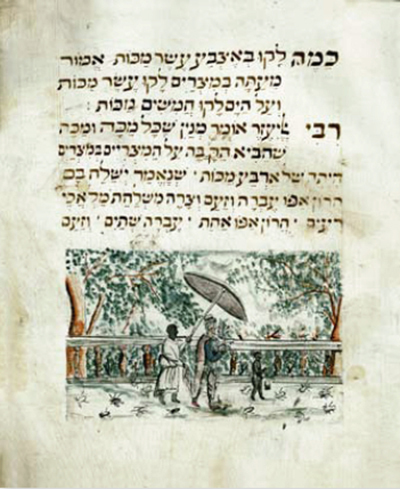 On Thursday, June 21, 2012, Kestenbaum & Company, auctioneers, is offering a stellar collection of rare Judaica with many luminaries, not the least of which is a beautiful 18th century illuminated Haggadah, the Passover prayer book, with pen-and-ink and watercolor illustrations, by the scribe Nathaniel ben Aaron Segal. Created in Hamburg in 1757, it is estimated to sell for $30,000-$40,000. In Hebrew with instructions in Yiddish, it is composed upon thick parchment and written in Ashkenazi square and waybertaysch (women's Yiddish) scripts with the text following the traditional Ashkenazi rites. Known as the "Lilien" Hagadah, it is part of the collection of the Polish-Jewish artist and early Zionist Ephraim Moses Lilien (1874-1925), who is considered to be the leader in developing Zionism's artistic vision in the early 20th century. Owned by the family for nearly a century, the book was, for a period of time, loaned to the Bezalel National Museum in Jerusalem and was on prominent display in the Monumenta Judaica exhibition of 1963-64 in Cologne, Germany. 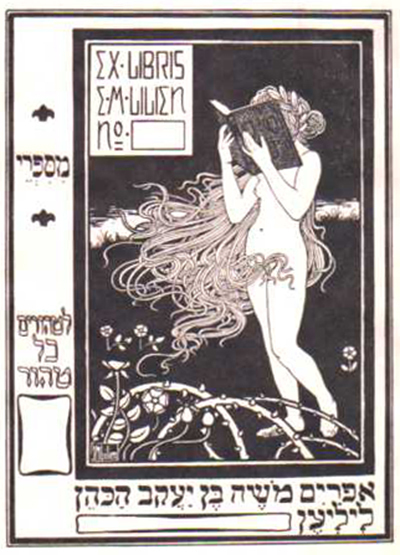 Bookplate of Ephraim Moses Lilien. Nathaniel, the son of Aaron Segal, was a sofer starn - a scribe of Torah scrolls, phylacteries, and mezzuzahs - actively working 1757-1772 in Altona, Hamberg, and Wandsbeck. He is firmly credited with six illuminated manuscripts (four Haggadahs and two Mohel (circumcision practitioner) books. Why, three hundred years after Gutenberg, were Hebrew books still being copied in manuscript and illuminated? It was an art form not to be discarded; examples survive from the 10th century Muslim community and scholarship suggests that Hebrew illuminated manuscripts date back to the ancient world. They reached their apex in Renaissance Italy, then began to decline as demand and the number of artisans dwindled. Yet "a new phase in the development of decorated Hebrew manuscripts emerged in the 18th century in Germany and Central Europe, when wealthy Court Jews commissioned handwritten and painted books as luxury items. Many of these are personal prayer books, which include Haggadot, seder berakhot, seder tikkunei Shabbat, and seder brit milah. Some of these manuscripts were intended as wedding presents for brides and contain contemporary depictions of women. 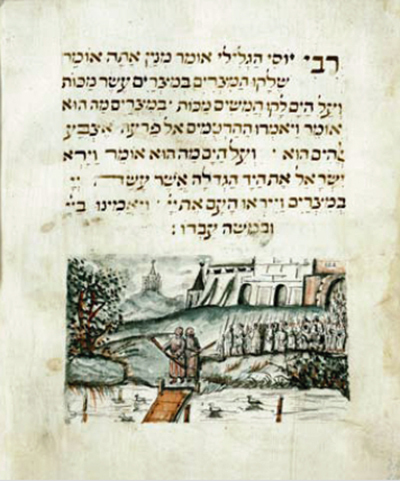 Many of the Haggadot were inspired by the printed edition of the Amsterdam Haggadah of 1695. Other features that reveal the influence of printed books are the inclusion of a decorated title page or the indication that the manuscript was written using otiot Amsterdam, the style of letters utilized for Amsterdam imprints, even though the book was written elsewhere" (Evelyn Cohen, Illuminated Manuscripts, Hebrew. 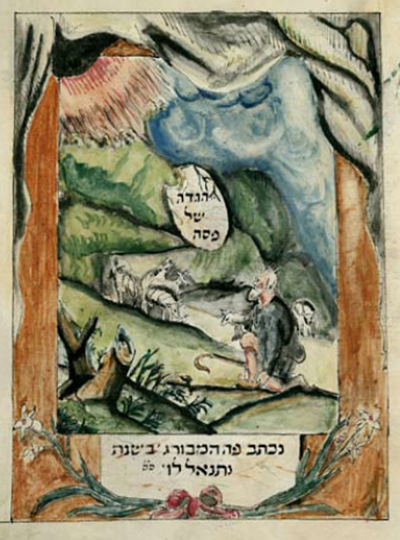 Ecylopaedia Judaica, 2d ed.). BTW: The star attraction in this auction is a copy of the Ferrara Bible, published in 1553. It is estimated to sell for $30,000-$50,000. 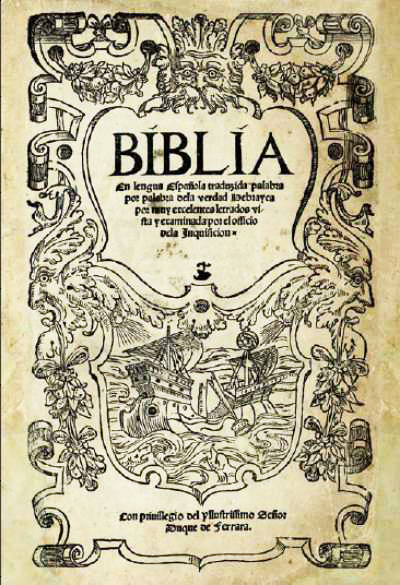 One of the great landmarks in printing, the Ferrara Bible is the first printed translation into Ladino, the Judaeo-Spanish language, of the entire Tanakh, the Hebrew BIble (Old Testament). 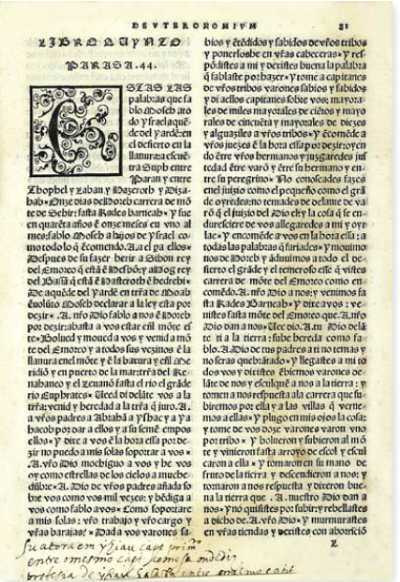 Its publication was the work of Marrano Jews (New Christians) who brought the Spanish language with them after the Jewish expulsion from Spain in 1492 and had settled in Ferrara in northern Italy, which had a Jewish population as early as the 13th century. These Marranos, who had converted to Christianity strictly to successfully function in Spain, and, post-1492, to stay alive, returned to Judaism after their expulsion. This translation, based upon earlier medieval Castilian versions, became the canon for the Sephardim (Spanish Jews) of Europe to whom matzoh balls are unknown. As we say in Yiddish, Oy caramba. Images courtesy of Kestenbaum & Co., with our thanks.